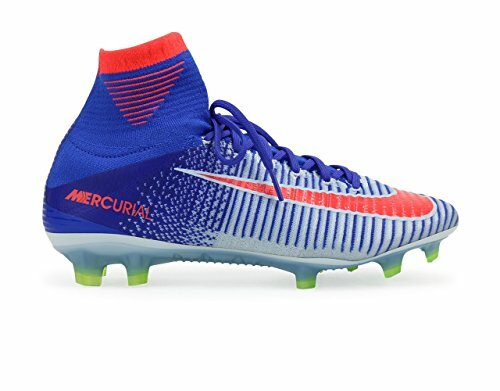 Nike Women's Mercurial Superfly V FG White/Bright Crimson/Racer Blue Shoes - 9.5A by NIKE at Atlantic United Soccer. MPN: 844226-464_464. Hurry! Limited time offer. Offer valid only while supplies last.